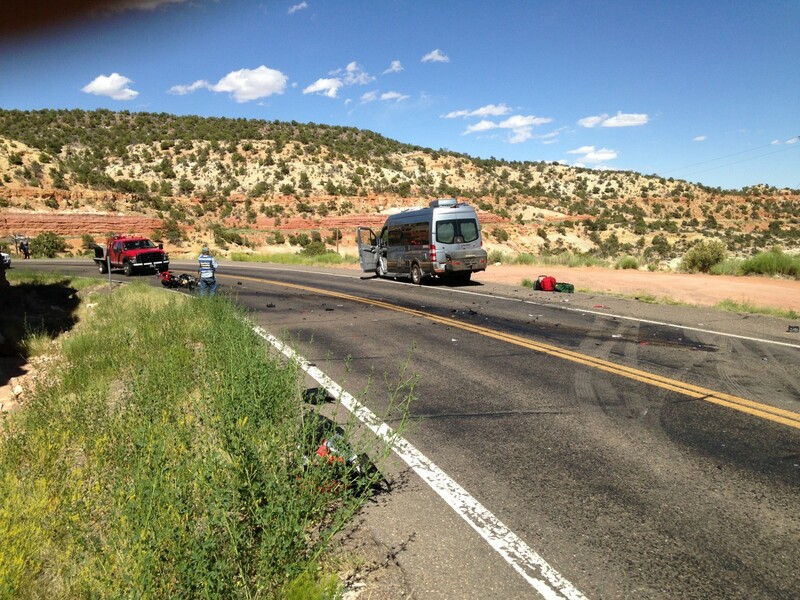 GARFIELD COUNTY — A 50-year-old man was killed in a motorcycle accident Saturday about 20 miles east of Escalante. The man whose name was released by the Utah Department of Public Safety, was confirmed to be Orem resident, David T. Wuergler. At approximately 4 p.m., a BMW motorcycle driven by Wuergler was traveling east of Escalante on state Route 12 near mile marker 83, according to a statement from DPS. Wuergler appears to have been traveling too fast on a curve in the road, according to the statement. His motorcycle crossed over the center line and went into the path of an eastbound RV, striking the recreational vehicles left front corner. Wuergler was killed on impact. The occupants of the RV were not injured. Speed is considered to be a primary factor in the crash. Drew Allred spent his childhood in Washington state and adolescence in northern Utah, originally moving to St. George to attend Dixie State University. Drew graduated with a writing degree, fell in love with Southern Utah, and never left. Today he claims that St. George is the first place that’s ever felt like home. When he’s not rock climbing or exploring the desert, he manages to make a living writing and guiding. my prayers go out to this mans family in this terrible time. Was one of the first witness/responders on the scene traveling just one car behind. So sorry to his family for such a loss. My heart aches for what they must be going through. As traumatic as the scene may appear, I do know for a fact he passed gracefully, peacefully, and courageously. Much Love and God Bless you all during this very difficult transition.